The Freedom From Religion Foundation is decrying the Nebraska governor’s proclamation of Sunday, April 7, as a “statewide day of prayer” in response to the state’s recent horrible weather. Such a proclamation is faulty on several counts, notes a letter to the governor written by FFRF Co-Presidents Dan Barker and Annie Laurie Gaylor. First, it is not the business of public officials in our secular nation to attempt to direct the prayers or consciences of constituents. Gov. 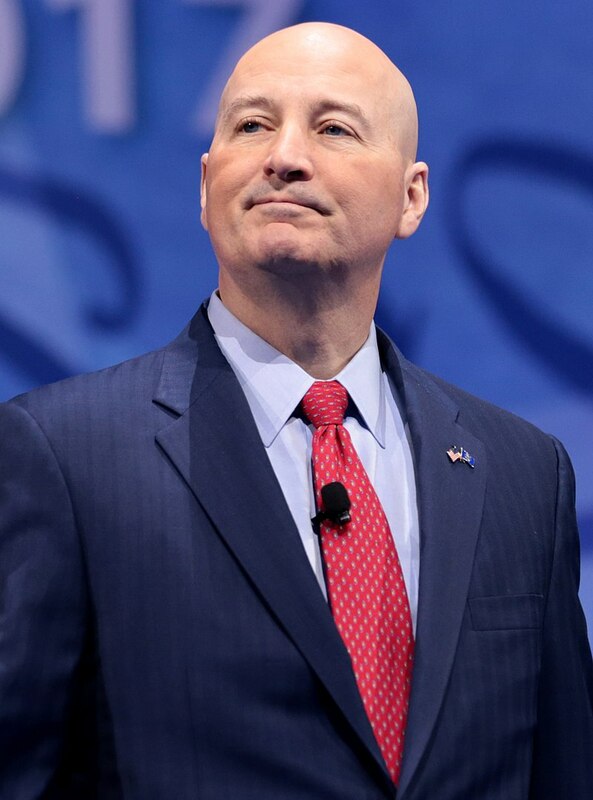 Pete Ricketts took an oath of office to uphold our entirely godless and secular Constitution, predicated not on a deity but on “We, the People.” Public officials should avoid taking advantage of their office to impose their personal religion on citizens, FFRF contends. Second, the proclamation is scientifically ignorant. Interestingly, even though Ricketts denies the existence of anthropogenic climate change, the proclamation notes that state residents are feeling its effects: “Nebraska is suffering from an unprecedented disaster caused by blizzard conditions, widespread flooding, and high winds, which has profoundly affected the livelihoods and living conditions of our fellow citizens.” A state’s highest elected official should be setting the standards for scientific literacy, instead of contributing to ignorance. Finally, FFRF asserts, this proclamation exemplifies the divisiveness that occurs when religion mixes with the government. The proclamation says that it “seems right and fitting that the citizens of Nebraska are urged to pray,” a sentiment which excludes and marginalizes nonreligious Nebraskans. Nearly one-quarter of Americans, 24 percent, are religiously unaffiliated and nearly 30 percent are non-Christians, either practicing a minority religion or no religion at all, FFRF informs Ricketts. So, Ricketts’ call to prayer excludes one in four citizens. And younger Americans are not just religiously unaffiliated, they are largely atheist or agnostic: A recent survey found that 21 percent of Americans born after 1999 fall into either of these categories. And, Barker adds questioningly, isn’t Ricketts’ prayer proclamation self-contradictory, since he’s organizing Nebraskans to ask God to alleviate conditions caused by previous acts of God? It would be best to rescind this proclamation, FFRF urges Ricketts. Rather than encouraging people to pray, the Nebraska governor should consider encouraging the good citizens of his state to get off their knees and get to work and to accept scientific facts, such as human-caused global climate change. The Freedom From Religion Foundation is a national nonprofit organization with over 31,000 members across the country, including in Nebraska. FFRF’s purposes are to protect the constitutional principle of separation between state and church, and to educate the public on matters relating to nontheism.